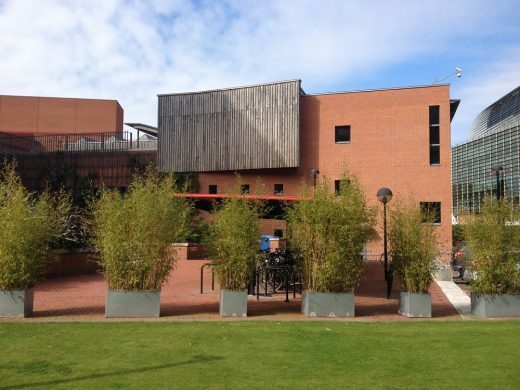 1 August 2015 – The British Library has been listed at Grade I by the Heritage Minister, Tracey Crouch, on the advice of Historic England. 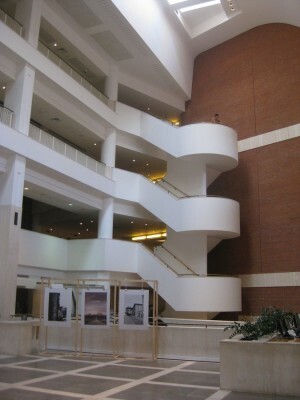 Additionally, seven later 20th century libraries have been listed at Grade II. 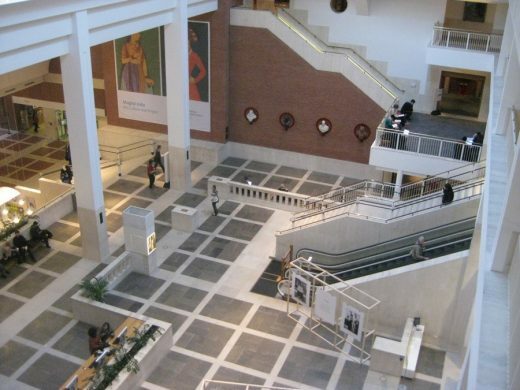 The British Library is arguably the most significant new public building of the later 20th century in England. Its architecture is both immense and extraordinary and its warmth and quality of spaces, finishes and sculpture have made it a much-admired building. It is set back in a stately fashion behind the distinctive brick piazza and portico and holds its own amongst a parade of Grade I buildings: St Pancras Hotel and Station and King’s Cross Station. 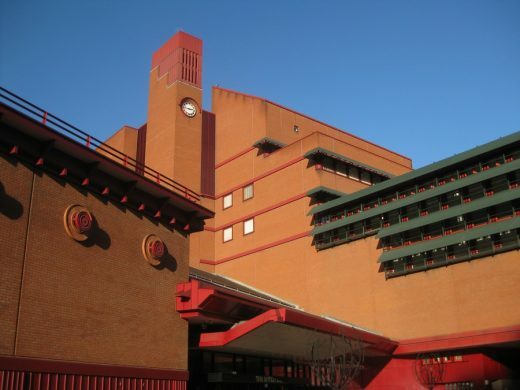 Roger Bowdler, Director of Listing at Historic England, said: “The British Library is one of England’s finest modern public buildings. Listing it at Grade I acknowledges its outstanding architectural and historic interest. Colin St John Wilson’s stately yet accessible design incorporates fine materials and a generous display of public art. The Library’s dramatic and carefully considered interiors achieve its ultimate goal: of creating a space to inspire thought and learning. 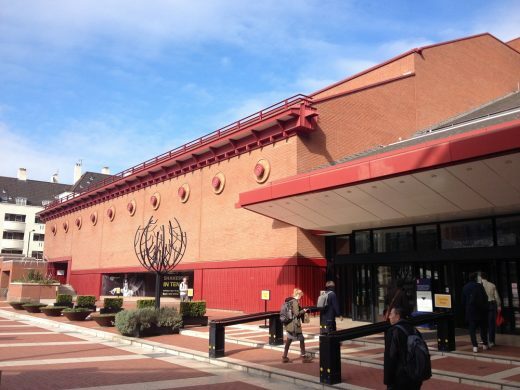 “Historic England has had a really constructive consultation with the British Library throughout. The way it has been listed celebrates its qualities, and points out just what does make it special. 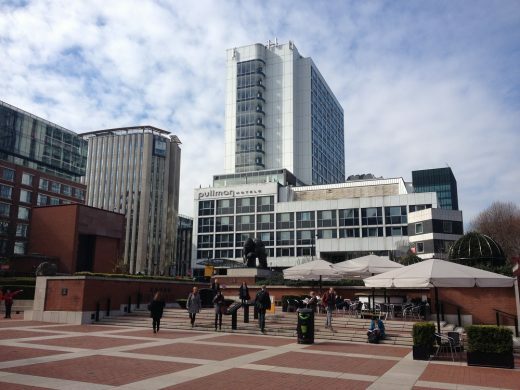 This will enable it to go on flourishing as a dynamic public building, in which appropriate change is welcomed. – no other architecture project, since the building of St. Paul’s Cathedral, over 400 years ago, took so long to construct or was surrounded by so much controversy. – 37 years from the award of the brief to the opening of the last Reading Room, Sir Colin faced changes to the location, size, proportions, and funding for the building.